He may be the underdog for the first time in his career, but Dylan MacPherson is still happy to avoid Dauphin for his final Western Hockey League playoff run. The Tigers embark on their third consecutive post-season Saturday in Edmonton against the red-hot Oil Kings. While Edmonton enters the series with an 11-game winning streak and a Central Division banner MacPherson says he’s confident that his Tabbies have turned things around in the nick of time. 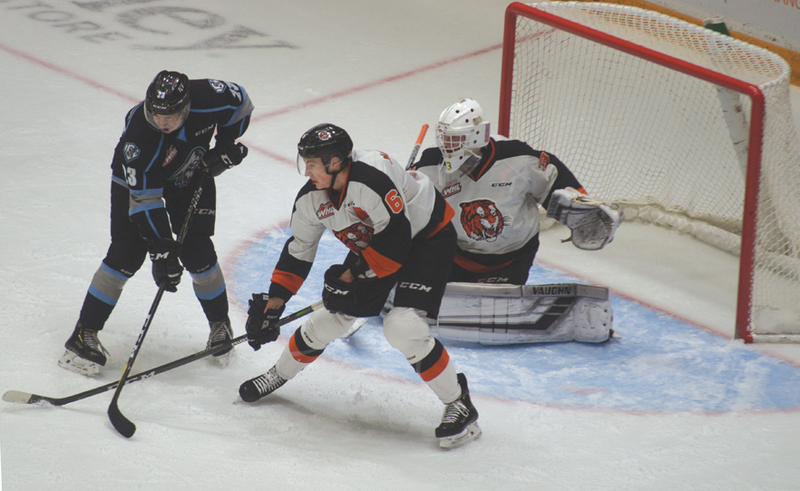 The 20-year-old Redcliff product has been a vital member of Medicine Hat’s blue line for the past three seasons after getting called up to the Tigers from the South East Athletic Club’s midget AAA squad in 2016. As the lone local on Medicine Hat’s squad for the entirety of his tenure with the team, MacPherson says he knows better than to take it for granted. That opportunity led to the prospect of more than just a major junior career. After logging 22 points with a plus-3 rating through 67 games last season, MacPherson was invited to compete with the Florida Panthers at their training camp alongside teammate Linus Nassen. The pair earned a subsequent invitation to join the AHL affiliate Springfield Thunderbirds for their main training camp before both were returned to the Tigers early this season. “It was nice, going into development camp he was the only guy I knew,” said MacPherson, who finished with 12 points and a minus-six rating in a shutdown role this regular season. “Getting to live with Linus in Springfield, it was a lot more comfortable, somebody you’ve known for a year, that you’ve spent a lot of time with on the bus and in hotels. Tigers head coach and general manager Shaun Clouston says MacPherson’s work ethic has opened the door for many of the opportunities he’s been given, and allowed him to thrive each the chance arises. MacPherson closed the book on his regular season career with six goals, 37 assists and a plus-12 rating through a total 186 games. While he’s not one to take over a highlight reel on a regular basis, MacPherson says that’s fine with him.